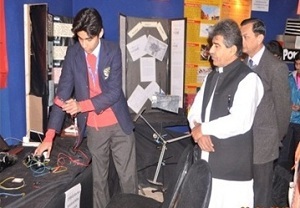 More than 350 students and teachers from Sindh, Balochistan, Punjab, KPK, Gilgit Baltistan gathered at Islamabad and presented their ideas through innovative projects on the occasion of Intel National Science Fair 2014-15. 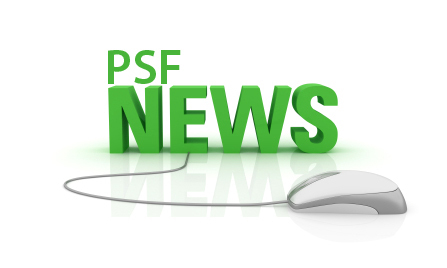 During the Fair, PSF arranged presentations and lectures for the “young scientists” on 30 Jan, 2015. Visit to the Pakistan Museum of Natural History and a Cultural Show was also held. Dr. Hassan Abass, UNESCO Chair on Water, CIIT-WahCantt delivered his talk on “New Science of Managing River Water” and shared a number of modern techniques for managing water related issues. HE discussed the Indus river irrigation system and described important aspects ofnatural, biological and physical phenomenon of river ecology, which are disturbing water balance. He also introduced new techniques of managing water to cope the water conservation issues. The students and teachers showed keen interest in the presentation and appreciated the ideas. Maj. Dr. Tariq Malik from AFIRM(Armed Forces Institute of Rehabilitation Medicine)introduced Rehabilitation Medicine during his talk. He discussed different types, symptoms and treatment of amputee limbs and physical disabilities. He also showed facilities available within AFIRM. Hedisclosed a number of special therapies and equipment present in the institute. The next speaker was Dr. H.U. Khan, CSO, who involved the students in his discussions on leadership and change. In his opinion, curiosity is the base of change. To do something innovative, curiosity is always behind it. He advised the students to thing for positive change for a prosperous Pakistan. He exemplified his talk by mentioning some renowned personalities, famous all over the world due to their curiosity and vision for change. He concluded that positive change is essentialfor progress and prosperity of our country. Prof. Dr. Khalil Ahmed Ibupoto, Chairman, PSF was the Chief Guest on this occasion. He visited the projects of the students and appreciated their efforts. In his remarks, he lauded the importance of promotion of science for our national development. A large number of students, teachers, researchers and scientists/officers from PSF, PMNH and PASTIC were also present. Ms. Khadija Bashir, Project Manager, Intel Education Initiative, Pakistan thanked speakers from CIIT, AFRIM, PSF and participants for joining the students in the session. She highlighted the role of PSFin making the event a successful story. Afterwards, students along with their teachers and mentors visited Pakistan Museum of Natural History, Islamabad. 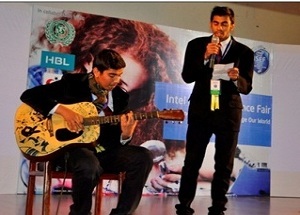 In the evening, students from all the provinces presented their folk songs and items and entertained the participants.